This year, Kanye West has been doing a weekly performance series called “Sunday Service,” which features a host of musicians performing with Kanye. On Easter Sunday (April 21), Kanye will bring his service to Coachella 2019 for a special 9 a.m. performance. 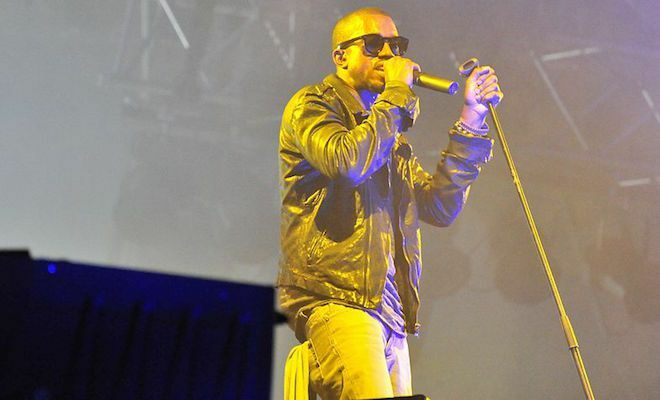 The “Sunday Service” sessions have featured regular Kanye collaborators (like Kid Cudi and 070 Shake), played host to a number of celebrities (including Katy Perry and David Letterman), and featured the debut of new music. Prior to this year’s lineup announcement, Kanye was teased to be one of the headliners at Coachella 2019. Coachella co-founder Paul Tollett confirmed he was scheduled to perform at this year’s festival, but the performance was canceled due to production design issues. Kanye reportedly wanted to construct a custom-built dome, designed by John McGuire, in the middle of the festival grounds. Coachella 2019 takes place from April 12-14 and April 19-21. It’s being headlined this year by Ariana Grande, Childish Gambino, and Tame Impala.